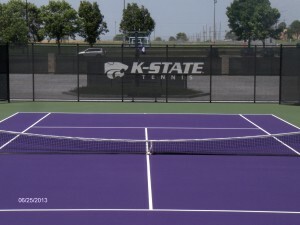 Kansas State University recently had their new tennis courts surfaced with APT’s Laykold ColorCoat system. 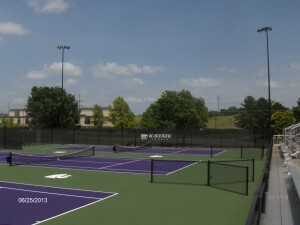 The school chose Laykold’s Royal Purple and Medium Green, the same color scheme as the Sony Open. 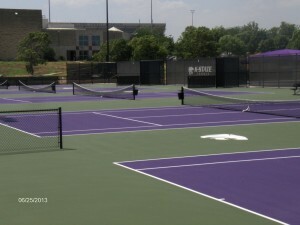 Installation of the surface was performed by Team Laykold’s long time installation partner, Trans Texas Tennis.